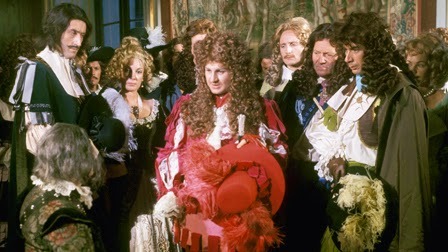 Louis XIV’s transformation from a puppet ruler to the Sun King did not unfold as a grand dramatic arc, though there was drama along the way, but as a series of administrative decisions, conversations, and even a few strategic changes of clothing. 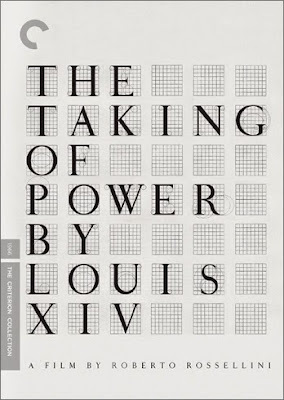 In “The Taking of Power by Louis XIV” (1966) director Roberto Rossellini focuses on the details of daily living that led to the ascension of France’s most powerful king, minutiae piling up into the mountains of history. 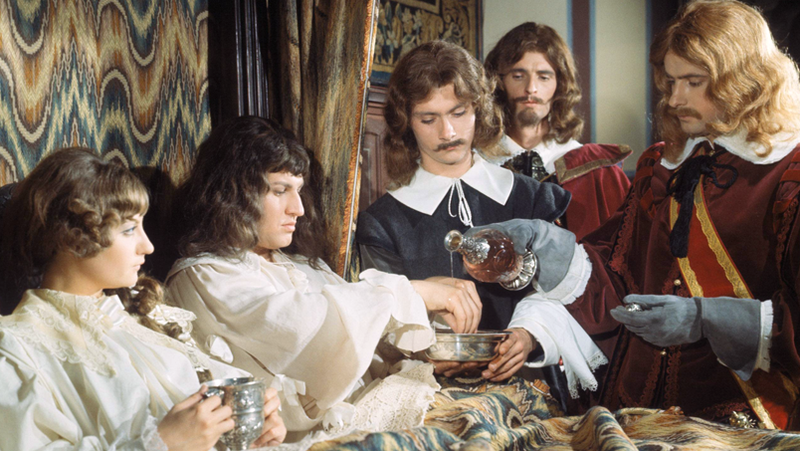 The film begins with the death of Cardinal Mazarin in 1661. Mazarin, successor to the better-know Cardinal Richelieu, was the Chief Minister of France while Louis XIV was a child, and he wielded tremendous power. Mazarin’s death left a void that few people expected the 22 year-old layabout king to fill. Louis, fond of hunting and gaming, could easily have delegated authority to the usual suspects, but instead chose, in a halting, nervous, step-by-step way, to gradually invest more and more of the state’s authority in the monarchy. Louis, acting in concert with some of Mazarin’s advisors, enacted a series of changes to law and ritual so modest on the surface that they don’t occupy a prominent place in history books. Constantly terrified of a return of the Fronde revolts of the 1650s in which the Parliament and the nobles briefly drove Mazarin out of the country, Louis decided that the best way to neutralize the threat was to make the nobility completely dependent on him. He began wearing ornate, foppish clothing (the kind we’re familiar with in period pieces today), forcing the court nobility to imitate him which, in turn, cost them a year’s salary or more. He also expanded the palace at Versailles to a virtual city-state unto itself and shifted the seat of government there, relocating the nobility from their estates to what was unquestionably the court of Louis XIV. In Rossellini's words, “The slightest act of daily life contains extraordinary dramatic power.” Banal moments and dry rituals occupy the bulk of the film. Rossellini devotes an entire scene to Louis trying on his new clothing. The final fifteen minutes of the movie consist almost entirely of an elaborately served dinner which Louis eats while perched alone high on a platform as the crowd of courtiers looks on, a ceremony that asserts the king’s dominance over his subjects in no uncertain terms. Rossellini often preferred to work with non-professional actors. Office clerk Jean-Marie Patte was cast as the Sun King and proved to be a perfect model for the director’s idiosyncratic production style. Just as Louis was terrified of rebellion, Patte was terrified of the camera. He constantly looks as if he’s trying to swallow himself whole to hide from the lens’s gaze, and this awkwardness makes Louis’ false bravado both poignant and plausible. He was a boy playing at being a man, and he succeeded simply by faking his way through and relying on the trappings of the office to carry the day. Look like a king, and you will be one. Louis often refuses to look at the people he is speaking to, staring off at some distant point instead. Is he contemplating his own grandeur? Perhaps. But Patte was struggling with his lines. Unable to memorize them, he read his dialogue off cue cards in most scenes. Trust Rossellini to turn an actor’s apparent weakness into one of the film’s defining stylistic features. It’s a truly marvelous performance that derives not from an acting class, but from the strategic placement of a body relative to the camera, the intersection of physical and optical. With its restrained performances, de-dramatized narrative, and emphasis on gestures, “Power” plays much like a Bresson film which makes it even harder to believe that it played to such a large audience. Of course, Rossellini had one major advantage: he didn't open the film in theaters, but rather on French television. In 1962, the director had declared cinema to be dead and abandoned it for TV. He was true to his word and spent the rest of his career making historical dramas for the small screen. The change of medium did not cause the director to abandon his vision in the slightest. The historical films are just as much “Rossellini” as his epoch-shifting early work like “Rome, Open City” (1945) and “Voyage to Italy” (1954), films that quite literally changed cinema forever. The film is presented in its original 1.33:1 full-screen ratio. The image quality is mediocre by Criterion standards, but more than acceptable overall. I’m not sure how much of this is attributable to the film being shot for television. The colors are a bit dull and there is more damage visible than on most Criterion transfers. It’s still a solid effort. The DVD is presented in Dolby Digital Mono. Solid, functional, no notable problems. Optional English subtitles support the French audio. There is no commentary track included with the film, an increasingly common trend for Criterion. Instead, we have a wonderful Visual Essay (25 min.) by Tag Gallagher, author of “The Adventures of Roberto Rossellini.” As he did on the Criterion release of “The Earrings of Madame de…” Gallagher takes advantage of the DVD format to offer an audio-visual critique that is enlightening and entertaining. I hope Criterion will include more of these, whether by Gallagher or other critics. The slim insert booklet features an essay by Colin MacCabe. “The Taking of Power by Louis XIV” is history writ small, a layering of subtle (and sometimes grueling) details that accumulate a mysterious gestalt power. The final product is a masterpiece, one of Rossellini’s greatest achievements. Rossellini’s groundbreaking neo-realist films were undeniably more influential than his historical television work, but I think I like both “Power” and “Blaise Pascal” (1972) even more. “Blaise Pascal” is one of the three films included in the new Eclipse Set “Rossellini’s History Films: Renaissance and Enlightenment” which also includes “Cartesius” (1973) and “The Age of the Medici” and is thoroughly awesome.